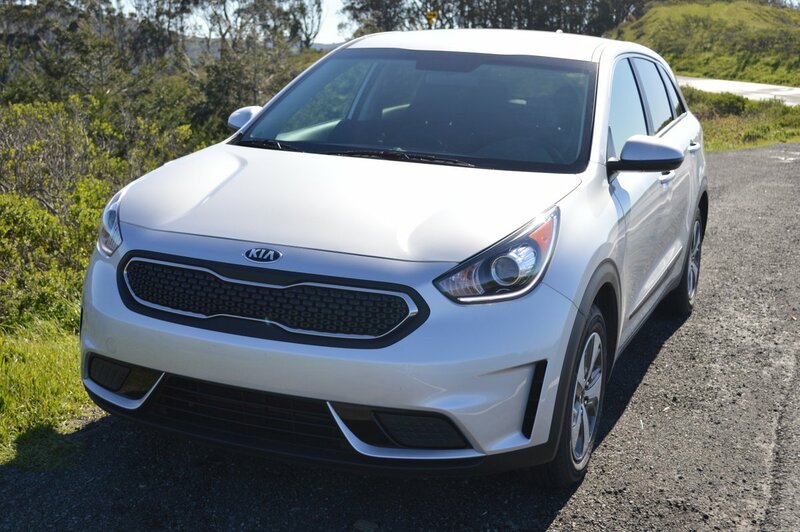 With introduction of the new for 2017 Niro Hybrid, Kia is targeting an underserved market segment. 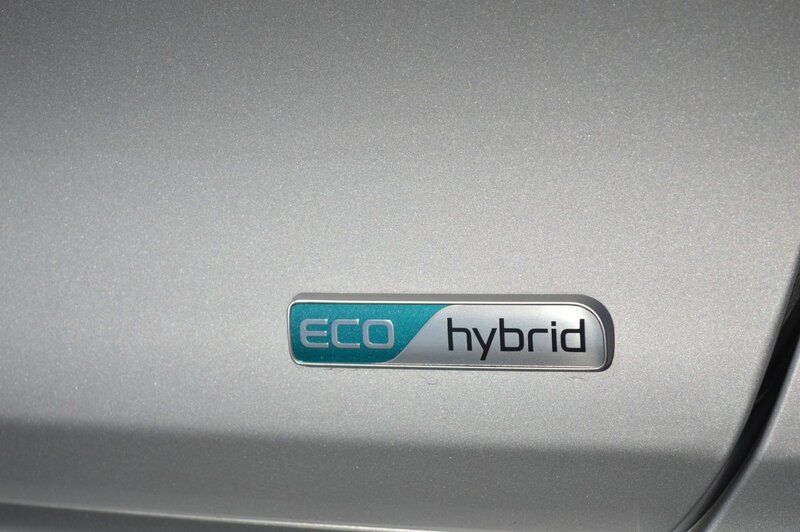 Until now, if you wanted a sub compact Hybrid capable of delivering 50MPG, you were limited to choosing some form of sedan – like a Toyota Prius or Chevy Volt. Although the Prius model line has been expanding exponentially of late, there’s still no crossover/station wagon/SUV variant available. Yes – you can make a hatchback Prius Prime do the crossover job, but are you willing to live with its tin toy/outer space styling? No such worries with the new Niro. 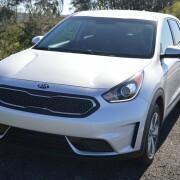 Kia stylists, who have proven extremely competent in their upper market range endeavors (like the K900), bring that same panache to the layout and design of the Niro. This is a good looking crossover, with enough SUV touches to please the nascent off-roader, enough practicality to humor the station wagon crowd, and enough efficiency (50MPG overall!) 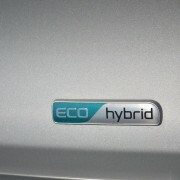 to convince the potential Prius/Volt customer that there is now an attractive crossover choice. 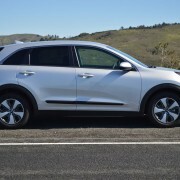 The Niro’s green cachet has already been celebrated by a hilarious spot (starring Melissa McCarthy) which was shown during the last Super Bowl. You’re probably going, “Oh, so that’s what that ad was about.” Right. 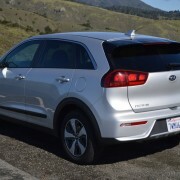 Kia is investing major effort in this car’s launch. And after a week behind the wheel, I would have to concur that the money has been well spent. 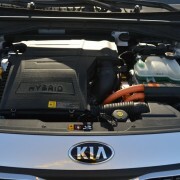 Even though the output of the Niro’s combined electric/gas propulsion system is only 139hp, this Kia is light enough to bump past slower traffic with a little advance planning on the driver’s part. 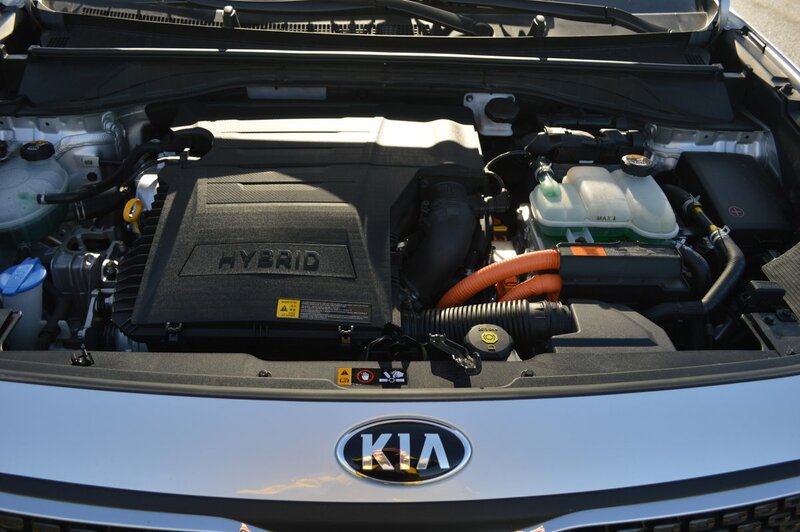 That’s because the Hybrid produces an unexpected wallop of torque (195lb.-ft.) that harmonizes perfectly with the 6-speed dual clutch transmission. 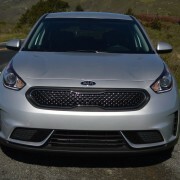 Even in the base model FE we tested, Kia refused to cut corners by selecting a groaning CVT. 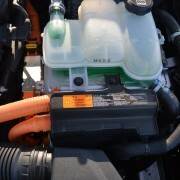 The 1.56 kWh lithium ion polymer battery pack stores under the rear seat, low in the chassis. 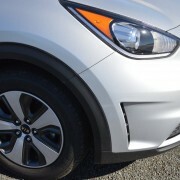 This location lowers the Niro’s center of gravity, which in turn promotes better handling. 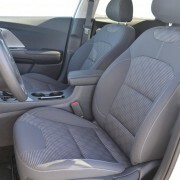 It also allows the rear seats to be folded flat, though they do stand a bit tall due to the battery storage location. Nonetheless, i was able to slide my mountain bike into the available 26 cubic foot cargo hold by simply flipping the front wheel around to decrease bike length. 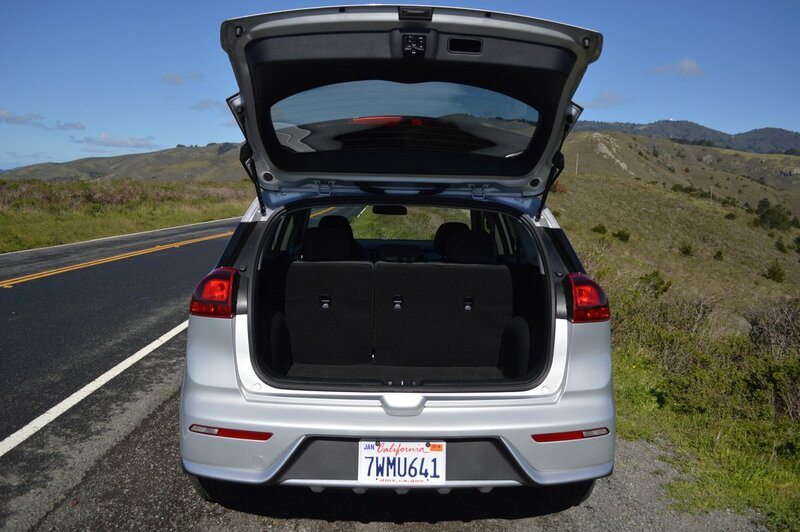 And speaking of length, the Niro’s generous 106 inch wheelbase offers plenty of rear passenger legroom. This crossover is bigger inside than it looks outside. It also comports itself with surprising agility on twisting two lane back roads. While you won’t be chasing down any BMW sedans, you won’t need to make excuses about the Niro’s canyon performance either. 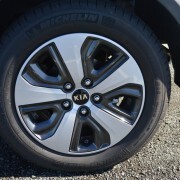 The FE, as the base model in the Niro line, comes with rather puny 16 inch alloy rims which are inexplicably shod with wheel covers. 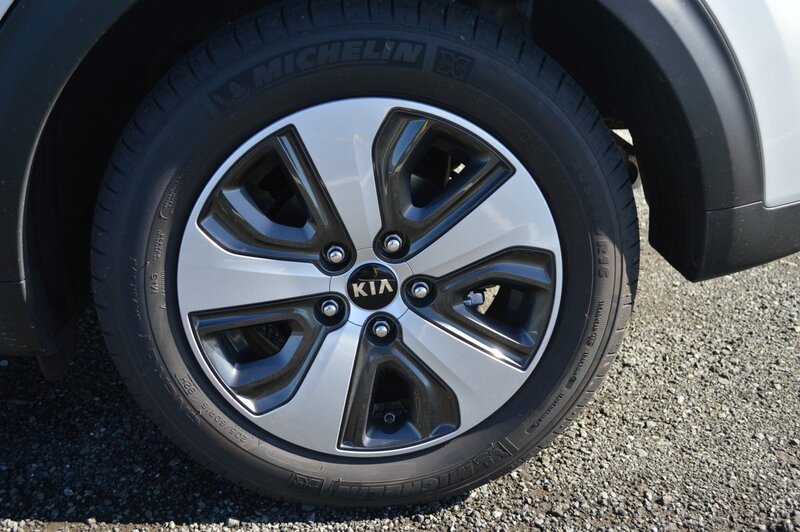 These rims mount Michelin Energy radials measuring just 205 in section width (205/60R16). 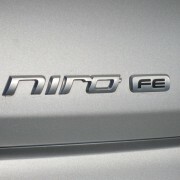 Despite the choice of such MPG-oriented tires, the Niro FE hangs on with surprising grip when you press it hard through tight turns. 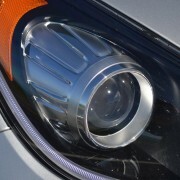 Responsible for this neutral behavior is a refined chassis featuring fully independent design front and rear. This layout produces such minimal understeer that you’d be hard pressed to know that the Niro is a front-wheel-drive design. 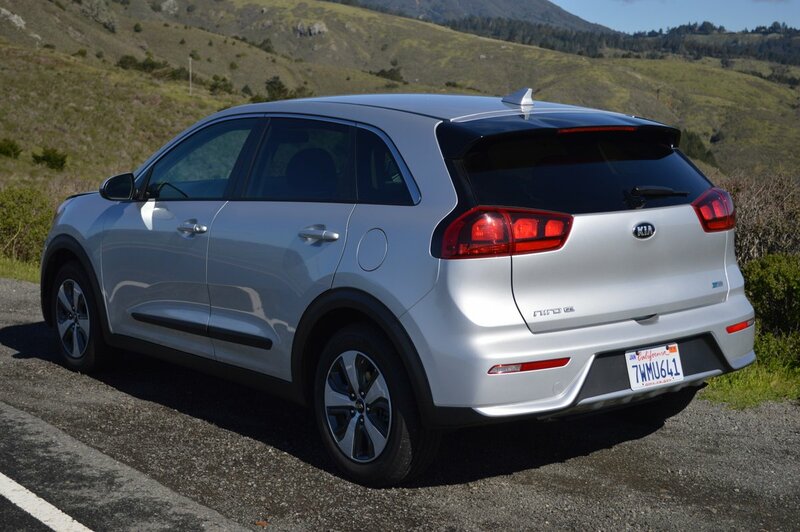 Although our FE version stands as Kia’s price leader at just $22,890, you must be willing to overlook its bargain basement ambiance. The interior looks like it was molded from the same shiny black plastic used to make Glad Bags. 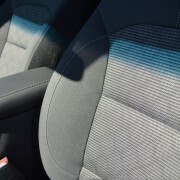 The steering wheel, with its pebbled surface for extra grip, will never be confused with anything crafted in Germany. Likewise, the levers and paddles that control seat position and rake feel chintzy and insubstantial. 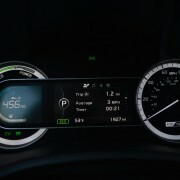 On the other hand, the instrument pod contains a very nifty gauge pack consisting of an eco monitor on the left and a 140mph (in your dreams) speedometer on the right. 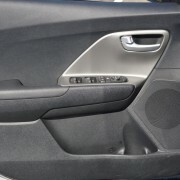 This duo is bridged by a center information panel that is driver-configurable. 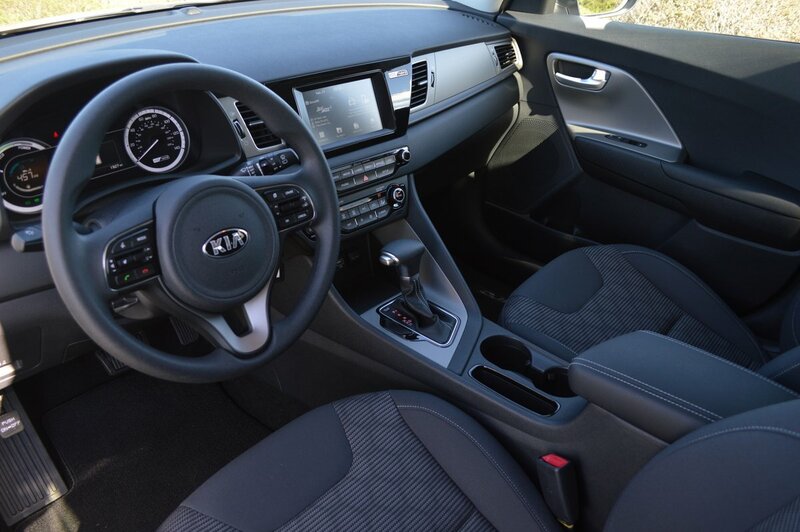 While you won’t find heated seats or steering wheel in the FE, Kia surprises base model buyers with a number of unexpected amenities: dual zone automatic climate control, AM/FM/MP3 with 7 inch touchscreen, Android Auto and Apple Car Play Smartphone integration, and Remote Keyless Entry. 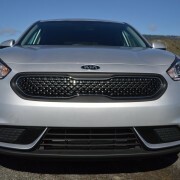 This little Kia has a lot going for it. 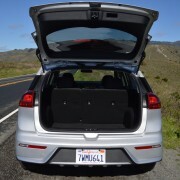 It looks way better than a Prius or Volt, matches them both for energy husbandry, and allows you to carry four adults or lots of cargo in surprisingly spacious comfort. 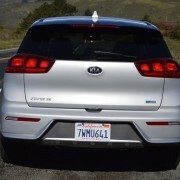 If I were shopping for a new Niro, i would opt for the Touring version. Although it costs about $4,000 more, its fit and finish convert the interior from tolerable to luxurious – plus you get real 18 inch ally rims and tires for even better handling. 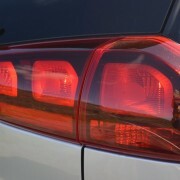 2009 Volkswagen Touareg 3.0 TDI Review - $43K, 30 mpg and 406 lb. ft torque = A No-Brainer.